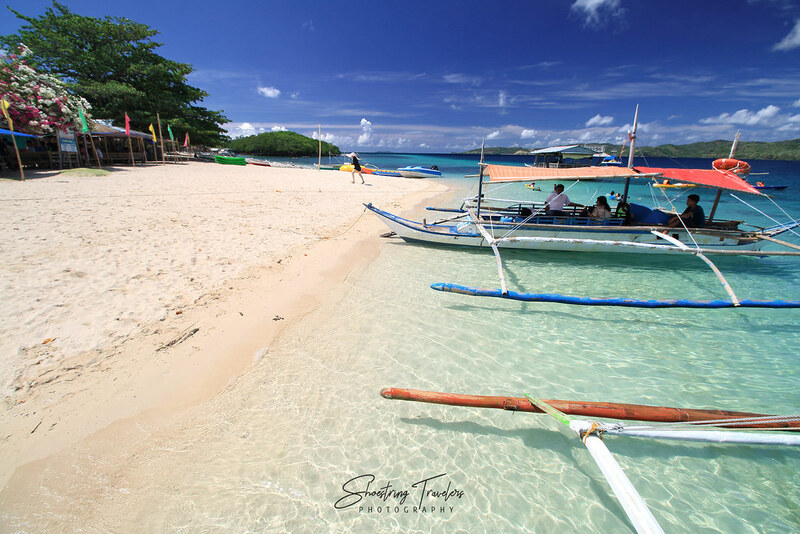 It was a pleasant Friday morning when our boat sped past the tip of a long wooden pier jutting out from the mangrove beach of Sitio Bangkal in Bulalacao town. 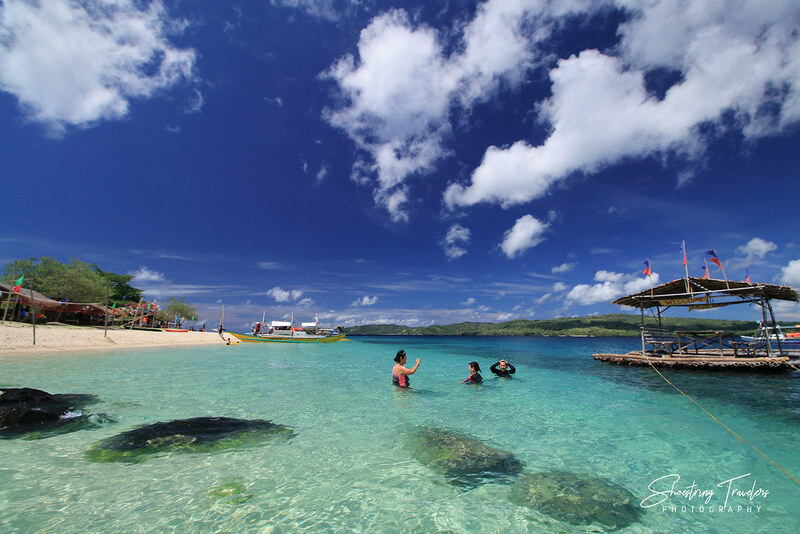 We’ve read that our island destination for this morning is the most “developed” among all islands in Bulalacao. Now after two decades of shunning beach destinations like Boracay, we’ve become apprehensive about visiting places with the “developed” tag. But curiosity still got the better of us. 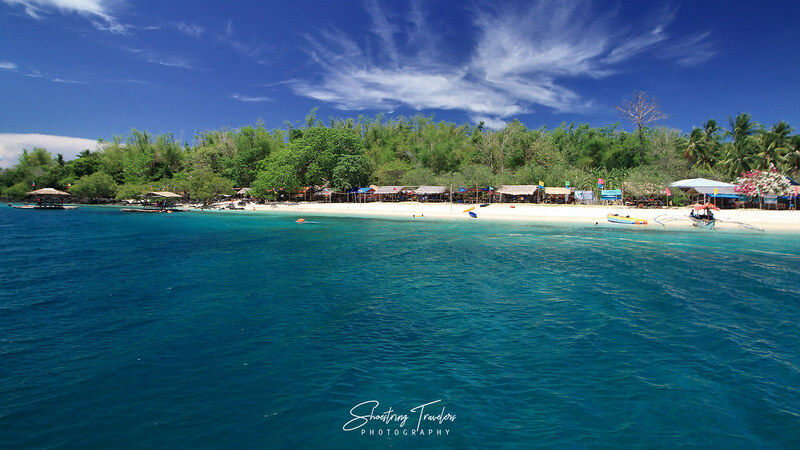 The trio of islands in the southern coast of Bulalacao is just half of the group of gorgeous islands off this laid-back town in Mindoro Oriental. The day after our visit to Silad and Aslom Islands (we had to forego our visit to Alibatan, the third island in the group), we set off for Bangkal, a sitio in Barangay San Juan just to the northeast of the Poblacion or town center of Bulalacao. The long wooden pier at Bangkal is the jump-off point for boats going to Suguicay Island, the first of the two northern islands in town. Approaching Suguicay, the rows of native huts and parked boats on a white sand beach immediately stood out. A few huts on bamboo rafts floated on the water while a number of people frolicked on the beach inland. Not exactly like the practically deserted Silad and Aslom Islands that we’ve set foot upon just the day before. It might not be the desolate paradise we prefer but Suguicay actually has a number of attributes that make it a viable destination despite the “developed” tag. 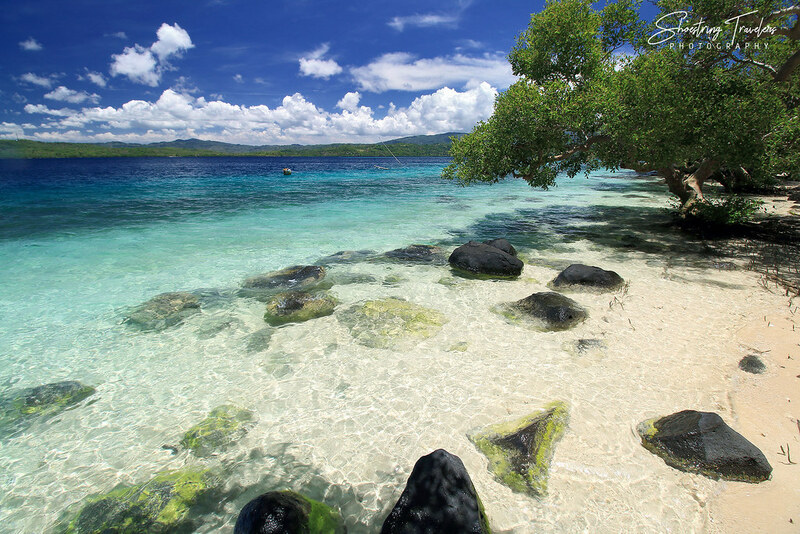 The sand here is creamy white and fine – finer than the sand at Silad Island and just a fine as that at Aslom’s sandbar. The waters off Suguicay are even more colorful than at Aslom and Silad. Leo had a grand time photographing the surrounding waters with its different hues of aquamarine, turquoise and deep blue. There is a small village at the northern edge of the beach that somehow adds to the character of the whole place with its row of fishing boats and a narrow body of water that snakes inland between the white sand beach and a clump of healthy mangrove trees. Clumps of mangrove trees ran throughout the whole length of the island, including both at the southern and northern ends of the beach that we visited. There are two white sand beaches at Suguicay – one at the southwestern end which we visited and another on the eastern side. There’s also a sandbar at the northern end which we belatedly saw on the way back to the pier at Bangkal although it was submerged at the time of our sighting. 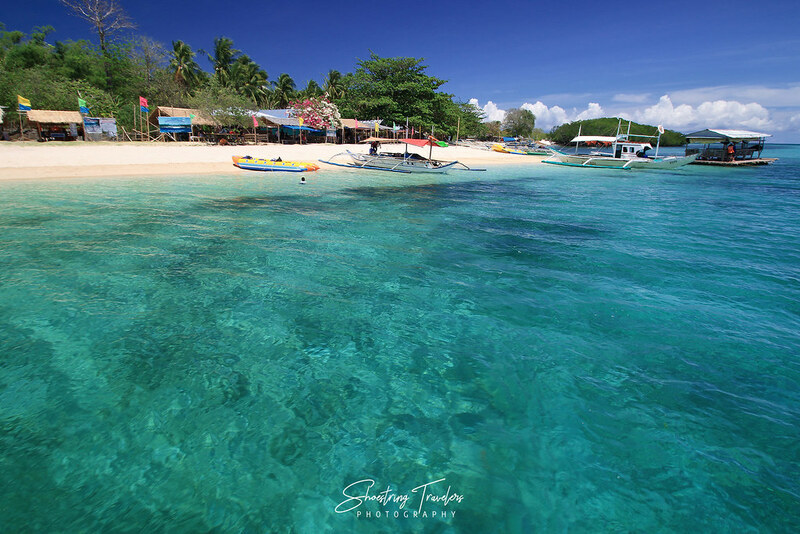 The waters surrounding the island are teeming with corals, reef fishes and other marine life but we didn’t get too far from the beach to observe more of these up close. However, we did see a large school of hundreds of medium-sized fish underneath one of the floating huts anchored not too far from shore. These fish stayed under the raft, unmoving, as if sheltering from the hot sun the whole time we were at Suguicay. 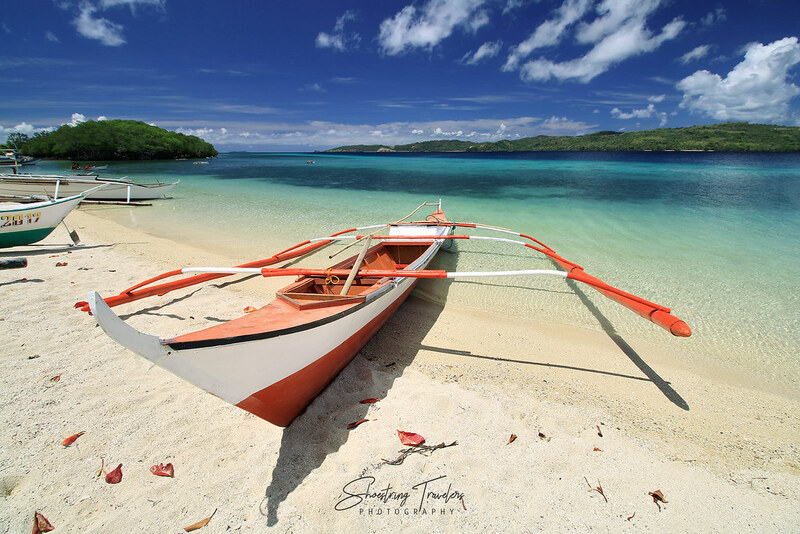 There are trikes that can take you to the jump-off point for boats at Sitio Bangkal in Barangay San Juan. (We would have taken the car to get there but we didn’t know the way. However, we belatedly saw a “To Suguicay” sign along the main road pointing to the interior road going to Bangkal.) You can get the trikes at the Poblacion or you can ask the resort for help in getting one. Trikes charge P500 for a 2-way ride for a group of 3 (the driver will wait for you at Bangkal). We were 5 in the group and the driver wanted P1,000 which we haggled down to P800. Five in a trike, however, made for an uncomfortable ride. At Bangkal we registered at the entrance to the pier then made the trek along the long wooden walkway to where boats were waiting for passengers. A boat good for 5-8 people charges P800 for the 10-15 minute crossing to Suguicay (yes, it’s that near). This fare is good for a 2-way trip. Huts on land at Suguicay go for P300; the floating huts rent out for P500. There is no resort on the island but the group managing the beach rents out kayaks, banana boats, snorkels, fins and other aqua equipment. They also offer para sailing; we got to witness one of the visitors try it out. We didn’t get to ask but it might be possible to stay at the huts overnight or guests may bring their own camping equipment. Meals are also served here. 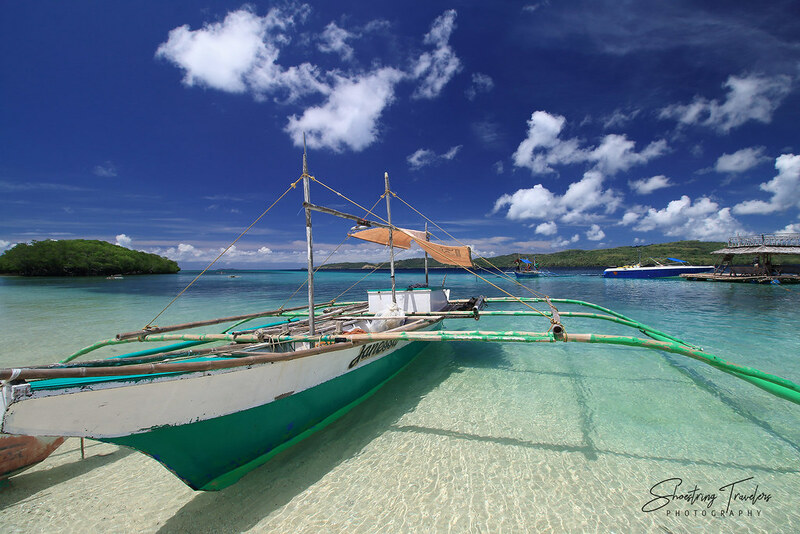 There are no restaurants but some enterprising residents will cook fresh catch for you to go along with rice, vegetables and even dessert – halo-halo in our case. (We got to really enjoy a hearty lunch of fried fish and grilled eggplants courtesy of the village folk.) Because we were getting fish directly from the source the prices were incredibly cheap. There is also a sari-sari store that sells drinks and snacks. 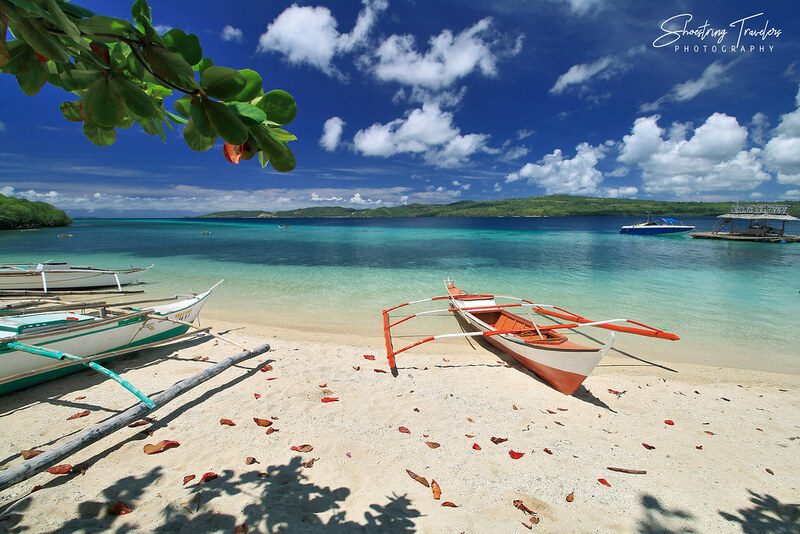 Suguicay is just half of the so-called Bulalacao North Islands tour. Buyayao Island is more than a 30-minute ride north of Suguicay. We were interested to go there but were told by the boatmen that the Suguicay-Buyayao package would set us back by a total of P3,500. We’ve already spent that much during our first day of island-hopping tour and we felt the extra P2,700 for one more island wasn’t justified so we decided to forego Buyayao. We’ve read elsewhere that Buyayao is more beautiful than Suguicay and it’s probably true. With 7 white sand beaches, interesting rock formations and a plethora of wildlife this island would have been a really interesting destination but for now it will remain an enigma to us. 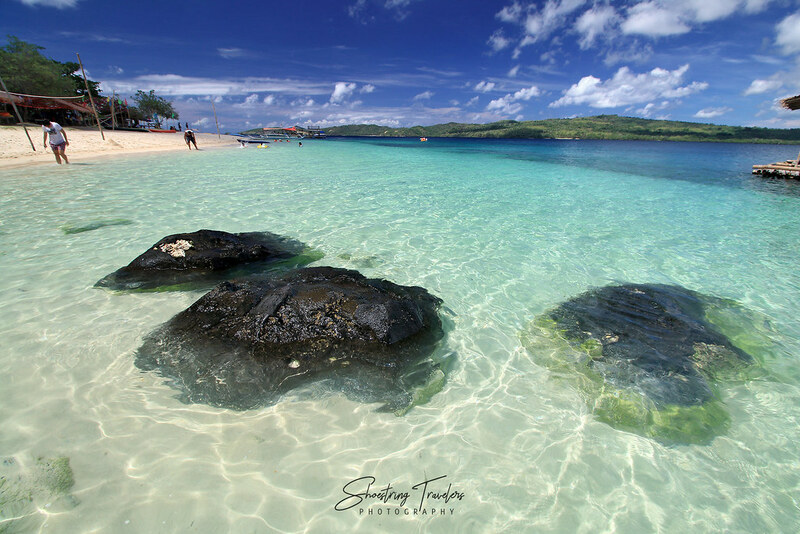 Posted in Mindoro, Travel PhilippinesTagged beach, Bulalacao, how to get there, island-hopping, MIMAROPA, Mindoro Oriental, Suguicay IslandBookmark the permalink.